Video Gaming has been negatively stigmatized for so long due to a multitude of factors ranging from increased violence in children to social isolation from staying indoors too much. While these factors may show up in some cases the general trend has actually strayed away from these problems and research has found that video games can in fact actually improve cognitive functioning. In an article by Psychology Today they set out to prove that rather than having a multitude of negative affects on children video games can actually improve a multitude of cognitive functions, the article lists perception, attention, memory, and decision-making as a few examples. 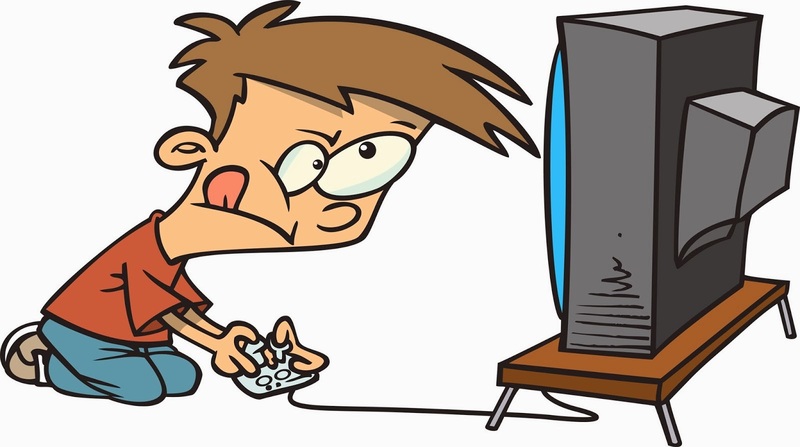 According to both the article by Psychology Today and the American Psychological Association perception is increased because video games bombard the player with visual stimuli, especially action-games such as Call of Duty and other shooters which require quick decision-making and the ability to receive and process all that visual stimuli in a very short amount of time. Likewise what is so interesting about this theory(in my opinion) is that each genre of video gaming strengthens a new area of cognitive functioning. For example a role-playing game would increase the decision-making skills of the player as many role playing games give players a wide variety of options to choose from. This is especially the case with MMORPG’s(Massively Multiplayer Online Role-Playing Games) where players can increase not only their decision-making skills but their social skills as well when they are required to join other players to win promoting teamwork and a group mentality. This is also the case with puzzle based games which would improve memory and information-processing skills. Even IOS games such as Flappy Bird would improve cognitive function since hand-eye coordination is a necessary requirement to be good at the game which can translate to increased motor skills outside the game. BBC News wrote an article about an observational study performed on children at the Max-Planck Institute of Human Development by Professor Simone Kuhn where she studied children for a two month period as they played Super Mario 64 DS and her results line up with the theory of this article, in the end of the two month period she used an (fMRI) functional MRI to note the effect on the patients brains. She found that in the brain the Prefrontal Cortex, Right Hippocampus, and Cerebellum all grew after the two month period each one involved in motor coordination. Now while the take away of this article is inherently about the benefits of video gaming there is of course such a thing as too much video gaming, I do not encourage people to play video games to the point where it becomes detrimental to productivity. I am merely trying to prove that the negative stigma around video gaming is incorrect and people playing video games aren’t going to grow up being violent social outcasts with a weight problem rather if video games are played in moderation there is a lot of evidence for an increase in basic human functioning meaning video games can in fact enhance learning not deter it. It’s always hard to make a point for video games because there will always be studies that show it’s detrimental effects… When used incorrectly, excessively or just plain unhealthily. There’s so much we can learn from video games, and so many opportunities for children to develop, just as long as there’s regulation. However, with enough kids that are basically left in neglect to play their games for hours upon hours a day getting little to no sunlight, exercise or social interaction outside the games, you’ll notice the problems. But that’s just as fair as saying the same thing would happen if you spent hours upon hours a day doing homework on a computer, or watching movies, or even reading a book (though reading a book wouldn’t have the same effects as prolonged exposure to screens, it would just have the same social/health effects as neglecting other things for video games). Being that I I play a lot of video games I have learned to type a lot faster than a lot of my peers. I also know that playing video games improves reflexes. Although they have these benefits, it does have negative effects, like cause seizures. As a child i used to play a ton of video games and of course I was always told to shut the game of and go play outside. Of course physical activity is great for the body, video game also provide a large amount of positive effects on children. This article goes into detail about the different positive outcomes children receive. From critical thinking skills to hand-eye coordination. Do you think children should use video games as learning tool? Should parents use video games to their advantage to teach their children different skills through enjoyable experiences? With a good amount of controversy constantly around video games, it is nice to read about the benefits they can provide. I like that you show how different types of games can improve different areas of brain function, and explain why. Overall nice post!